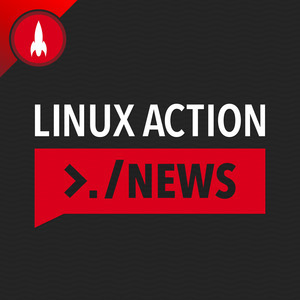 We found 10 episodes of Linux Action News with the tag “android”. Ubuntu 19.04 is released we share our take, OpenSSH has an important release, and Mozilla brings Python to the browser. Free Software does what commercial can't this week, getting a Debian desktop on more Android devices gets closer and PureOS promises Convergence, but is there more beneath the surface? Google's Project Zero criticizes Linux distros, Firefox can now tell you when you get pwned, and the growing elephant in the room about Azure. Great new releases for GNOME and Tor, delays for the Librem 5, and Linus proves to be extremely important. This week saw a huge release for UBports, proof that LMDE is still alive, and Mozilla earning a lot of respect. Linux gains a world class media editor, Atari is making Chris nervous, and the Librem 5 hits some rocky waters. Big changes coming to Linux Mint, hope for ZFS upstream in Linux, and Mozilla helps out TOR. Plus how Russia may help legitimize cryptocurrencies like Bitcoin, and Solus makes a call for help.